Suzanne Perazzini has written a wonderful cookbook for the protocol. It is lovely to find beautiful and tasty recipes! As a nutritional therapy practitioner, I am always looking for excellent resources for my clients. This is one of the specific healing diets I use regularly for some people. I am happy to have this additional resource. Suzanne’s food photography skills are amazing and make me want to cook every one of her recipes! 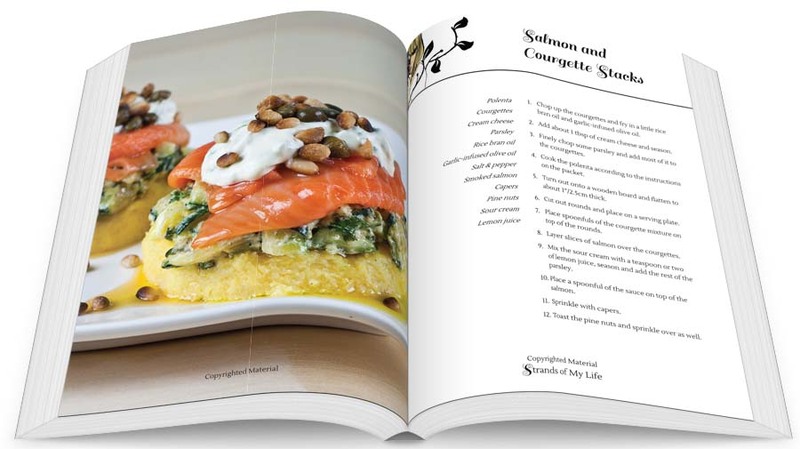 Her book does not disappoint, and is full of delicious, creative, and varied dishes to suit any occasion. I just LOVE that the book is organized by events — Ladies Lunch, Beach Picnic, Formal Dinner Party, Midnight Feast, etc. Each event comes with its own menu of about 4-6 items, including appetizers, main dishes, sides, and desserts. The menus are organized in a thoughtful way, and her lovely photography and illustrative language really set the mood for the reader — I could just see myself wrapping up a slice of the salmon quiche and heading to the beach for a picnic. By default, low FODMAP eating is gluten-free, so even if that’s your only current dietary restriction, you will LOVE this cookbook! I highly recommend this book and Suzanne’s blog. 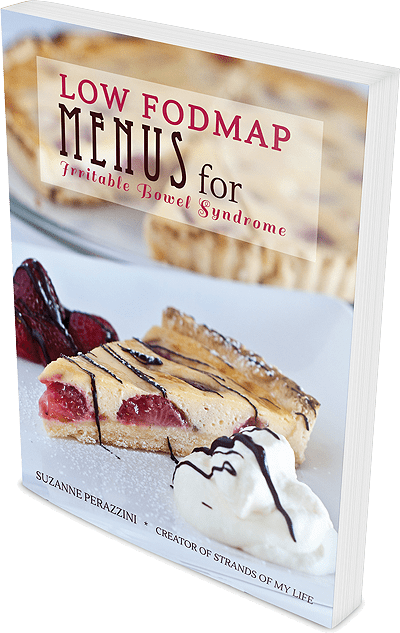 In “Low FODMAP Menus for Irritable Bowel Syndrome,” Suzanne Perazzini not only creates foods delicious enough to feed the masses, she also produces beautiful edible masterpieces. Suzanne offers meals and treats for all occasions, which successfully accommodate those needing low FODMAP diets, and also those who indulge in the pleasure of delectable foods, without limitations. Her photographs beautifully illustrate that excluding inflammatory foods need not leave you without a plentiful array of delicious options. People who follow a low-FODMAP diet are often left out at parties or get-togethers because they can’t eat certain foods, even normally “healthy” ones. 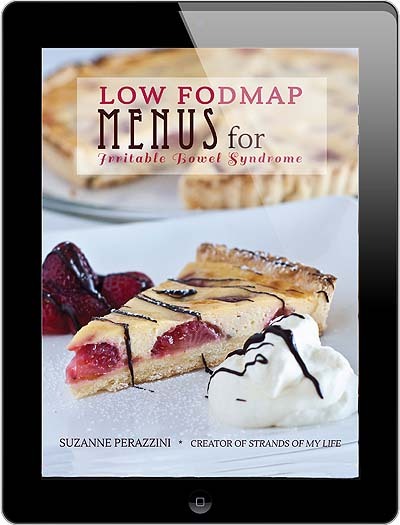 Suzanne did a great job creating menus for special parties like a brunch or a dinner date, so people following a low-FODMAP diet can eat well too. She also takes time to explain what FODMAPs are at the beginning of the book in a clear, understandable way. Will definitely be recommending this to clients with IBS, so they can expand their meal ideas and eat safe desserts or appetizers.